After you tour through Rob's house, you'll have no choice but to enter his Secret Coop in the rain. 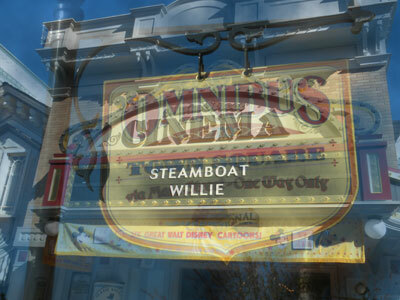 There you can locate Rob who has just finished re-animating a scene from his latest film, "Mark Twain Willie". Be sure to pinch his leopard! If traveling with spoiled children, you may want to give them sedatives after getting in this queue. During selected "Ultimate Mornings," retired Disneyland pet owners can bypass this attraction for an hour after more important people. During unexpected weather, this attraction may melt. Attraction is closed for seasonal complete replacement from January 12 to June 12.